Places that stock African groceries. 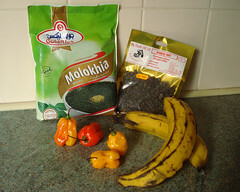 See Category African Food for places to get ready-to-eat African food (takeaways, restaurants, etc). Last edited 2015-06-03 14:34:28 (version 2; diff). List all versions. Page last edited 2015-06-03 14:34:28 (version 2).